Summary: Unable to open recovered JPEG files? This Blog elucidates the situation with some possible precautionary measures to repair JPEG images which are not opening after recovery. Congratulations!!! You have successfully recovered the corrupt JPEG files. We breathe a sigh of relief the moment a message pops up on the successful recovery of our beloved images; but, seldom have we known that there is still a mile to cover and remember, the last mile is often the hard one. Irrespective of the photo recovery procedures employed be it a third party tool or a free/paid photo recovery software or some manual techniques, nothing guarantees 100 percent recovery of data. However, there is still a room for errors. Based on the mechanisms, you can efficiently recover 90%-95% data. Moreover, you risk data integrity and data accuracy every time you use such tools. Decode error! JPEG data stream contains no image! Images are inaccessible even after recovery. Why? Is there any way to repair JPEG images which are not opening after recovery? On a positive note, yes, there are a few techniques using which you can access the corrupt JPEG images. Follow these step-by-step procedures to repair JPEG Images which are not opening after recovery. Reboot your device and open the JPEG images again. If this method does not resolve your issue, proceed to next method. You can set your own preference of how to open the JPEG images. 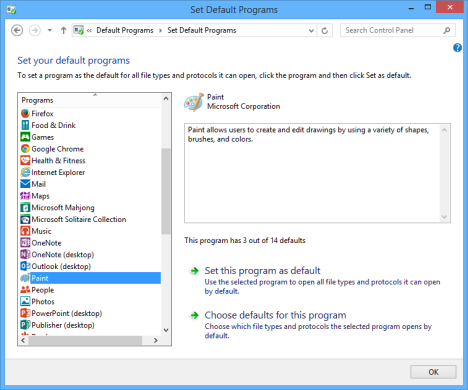 You can set default programs such as Photo Gallery or Windows Media Player or any other third party application to open JPEG images. This method resolves any compatibility issue. Open the JPEG images on editing applications such as Photoshop, Photoscape or Windows Paint. Change the image’s extension and metadata (info like date, time, file type, thumbnail description etc.). There might be a possibility that while transferring images from memory card to PC, the metadata was not transferred which is not read by the device. If these don’t resolve the issue, we recommend going with the option of a reliable JPEG repair application. Stellar JPEG Repair is capable of recovering all your corrupt JPEG images irrespective of the reason behind it. In addition, it does not modify or edit the original file format; but, restores the images with easy and simple steps. Connect the storage device to the PC and run Stellar JPEG Repair. On the main interface, select Add files option to add and repair JPEG files. After that, the software displays the list of all the files with the same file extension. Select the files and click Repair. There you are, Stellar JPEG Repair software repairs JPEG Images which are not opening after recovery giving back the access to your precious moments without sacrificing much in the way of quality. Since there are two probable cases i.e. either you can repair JPEG images or not, it is quite a complex task to choose the optimal option that can deliver what it is expected to. Following any of the above-mentioned procedure may yield the satisfactory result; but, when the issue intensifies, they are most likely to disappoint you excluding Stellar JPEG Repair. Stellar JPEG Repair lets you repair all your corrupt JPEG images within simple steps and you don’t require any prior technical knowledge to operate the software. Within few clicks, you will have the accessible JPEG images without compromising on the picture quality.